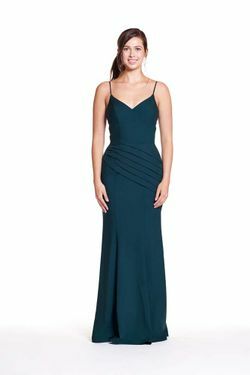 Bary Jay bridesmaid dress style 1858 - Lace and Bella Chiffon - V-neck with sheer lace panels, pleated bodice, pleated waistband and light gathering on front skirt. Low V back with zipper at center back. Available in Maternity sizes.